For many, the yellow dock plant is considered nothing more than an invasive and unwelcome weed. However, herbalists and Native Americans know otherwise. While most of the plant can be used for herbal remedies, we’ll be taking a closer look at the root of this plant. Characterized by its tree like growth rings when sliced, the yellow dock root is used for a variety of treatments and is considered by many herbalists to be a panacea, or a cure-all for what ails you. Studies have shown the antioxidant potential of yellow dock root and have confirmed that it reduces oxidative stress. For example, a study by the Department of Chemistry at Jamia Hamdard in India showed that the root possesses potent antioxidant and free radical scavenging activities and thwarts oxidative damage and hyperproliferation in liver tissues. This could be significant since oxidative stress is thought to be involved in many diseases including in the development of cancer, Parkinson's disease, and Alzheimer's disease. In fact, yellow dock is a staple of many natural anticancer formulas, including Essiac Tea. In fact, a 2012 study instigated by the Essiac formula found that yellow dock displayed "remarkable cytotoxic activities" on several tested leukemia cell lines. Yellow dock is most often used for its ability to facilitate detoxification. The cleansing ability of the plant can help with many functions. For instance, it is a powerful blood cleanser and lymph cleanser, inciting and increasing the action of lymph glands throughout the entire body. Not surprisingly, this herb is a staple of many traditional blood cleansing formulas, including Essiac Tea and Jon Barron’s Blood Support formula. According to the University of Massachusetts Memorial Medical Center, yellow dock can help alleviate stomach acid, heartburn, and indigestion. It stimulates the digestive functions by helping to increase both digestive enzymes and stomach acid. More specifically, it can aid the liver and gallbladder. It is called a cholagogue because it is thought to stimulate the production of bile and digestive fluids. Yellow dock also contains low levels of anthraquinone glycosides. This helps to stimulate the release of bile and various digestive enzymes to relieve constipation and minor digestive disorders. From a detox perspective the root can help remove lingering waste in your intestinal tract by stimulating bowel movements, as well as increasing the frequency of urination which assists in toxin elimination. Not only for internal conditions, yellow root has also been used topically to treat a number of skin conditions including age spots, psoriasis, rashes, poison ivy, and eczema. Native American tribes used the yellow root in a poultice treatment to help alleviate these types of issues. It is best not to use raw or uncooked yellow dock. It can cause serious side effects including vomiting, heart problems, and breathing difficulty. Also, handling raw yellow dock can cause skin irritation in some people. Check with your doctor about taking yellow dock if you are pregnant or breastfeeding. It has laxative effects that could be unsafe. 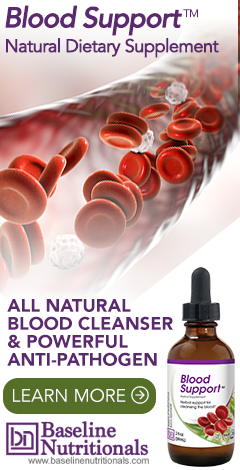 For more information on natural blood cleansing, click here.